The political outlook for renewable energy is not great – and I’m not just talking about the view out of Joe Hockey’s car window. 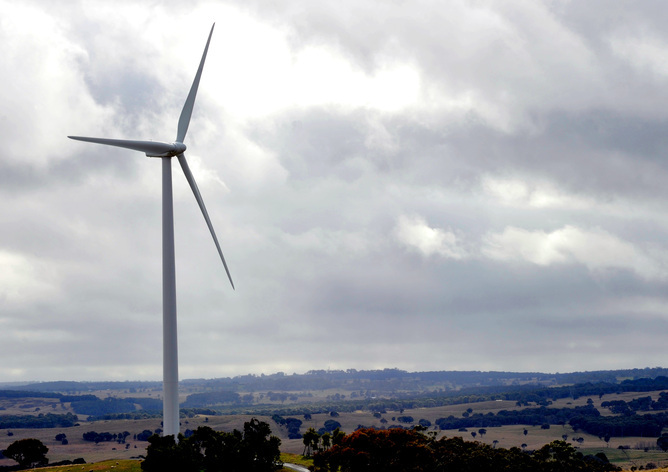 The Renewable Energy Target (RET), which aims to deliver 41 million megawatt-hours of extra renewable energy by 2020, is under review by the federal government. The signs are not promising for preservation of the target, given the views espoused by the Treasurer and the composition of the Review Committee. But the RET is not an end in its own right. It is also a stepping stone for moving to a 100% renewable power sector by 2050. The problem is that getting there requires not just a practical plan, but also the political will to put it into action. A prime purpose of the RET is to reduce greenhouse gas emissions. In conjunction with energy efficiency, the RET has been doing this so effectively that Australia’s emissions from electricity generation have been falling since 2008. The RET allows renewable energy to compete directly with old-build gas and coal power stations as they move towards the end of their useful lives. Despite the fact that the government may be preparing to wind back the RET to something more modest, it is not an especially challenging target in its current form. The most likely way to hit the 2020 target will be to deploy wind and photovoltaic (PV) solar power, which are by far the leading types of renewable energy being deployed around the world. To hit the target, Australia will need about 9000 megawatts of new capacity from each of these two technologies. Australia already has about 6000 MW of wind and PV capacity, mostly constructed over the past five years. So that means building about 1200 MW each of PV and wind power each year for the rest of the decade. Not too difficult, considering that 1000 MW of PV power was installed in 2012, mostly on rooftops. Indeed, there are now more than 1.3 million PV rooftops in Australia. In terms of costs, both PV and wind are competitive with new-build gas and coal power stations. And the outlook for coal is not as certain as many in the sector in Australia would like, with new analysis suggesting that the industry could decline because of softening import markets in China and India. As a share of the Australian power generation market, coal has been declining since 2008, as a result of improved energy efficiency and the rise of renewables. As all current fossil fuel power generators will have reached the end of their useful lives before 2050, they will have to be steadily replaced over the coming 35 years. Installation of solar and wind will allow this to be done with minimal additional cost and with near-zero greenhouse gas emissions. Moving to 100% renewables by mid-century might sound like a tall order. But the current RET actually puts us on track to do it – all it would require would be to carry on at the same rate of investment beyond 2020. Installing around 1200 MW each of new solar and wind power every year, as required by the RET, would be enough to replace the entire existing fossil fuel electricity sector by 2050. There would be no need to decommission existing power stations early – rather, they could just be replaced as they reach the end of their useful lives. Thus the RET offers a stepping stone to 100% renewable energy by natural attrition – an important attribute if we are to avoid spending money unnecessarily. The RET offers a way to ensure that ageing coal-fired power stations are replaced by low-emission renewable alternatives. Wind and solar power are essentially unconstrained by environmental, resource, material supply, security and other problems that beset fossil fuels. The need for the RET will decline over time as retirement of existing generators gathers pace. Demolishing the effectiveness of the RET will make it more difficult to meet the government’s greenhouse emissions target of a 5% reduction on 2000 levels by 2020. The sooner Australia adapts to the radical changes in the global electricity industry, caused by dramatic falls in renewable energy costs, the better. If the federal government leaves the RET alone, Australia will be on track for an all-renewable electricity system by mid-century. 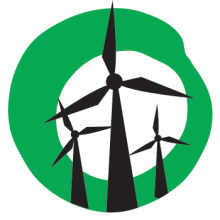 Meanwhile, the amount of land taken up by wind farms is trivial, compared with the footprint of an open-cut mine or a gas processing hub – a few tens of square metres per tower, plus access tracks. The farmers who host the wind generators continue farming as usual, but benefit from what is effectively a second cash crop that pays them thousands of dollars per machine per year. While Mr Hockey might find the view of wind turbines along Lake George “utterly offensive”, others might take exception to the sight of open-cut coal mines, coal and gas export terminals, oil spills, fracking equipment, smog, and coal seam fires. They might also have an opinion about whether consequences such as oil-related warfare and global warming are more offensive than an allegedly spoiled view. Great article. Each day that passes brings us closer to cleaner energy and the demise of coal as a primary source of electricity.